Since I have basically the same green smoothie every morning, I wanted to photograph it in a new way. So, this morning I decided to spread out the ingredients to show exactly how much food goes into the blender most mornings. 1. Green smoothies are very good for you. Comprised of about 60% gorgeous fruit and 40% lovely leafy greens, it’s a wealth of nutrients in one glass. 2. Green smoothies are easier to digest because blending ruptures the cells of the fruits and greens. This assists the body with assimilation of the nutrients. This absorption begins the moment the delicious mixture hits your mouth. 3. Green smoothies, help with elimination. They have lots of fiber and your digestive tract is happy when it’s cleaned out on a daily basis. 4. Green smoothies are delicious! Everyone in my family loves them… yes, even the kids (once they got past the color being “weird”). 5. Green smoothies are an easy way to get in your greens for the day. I don’t necessarily enjoy chewing greens so this is a quick and delicious alternative. 6. Green smoothies help reduce your cravings for sugar and processed foods. That’s a marvelous side-effect if you ask me. 7. Green smoothies are rich in calcium, magnesium and Omega 3 Fatty Acids. 8. 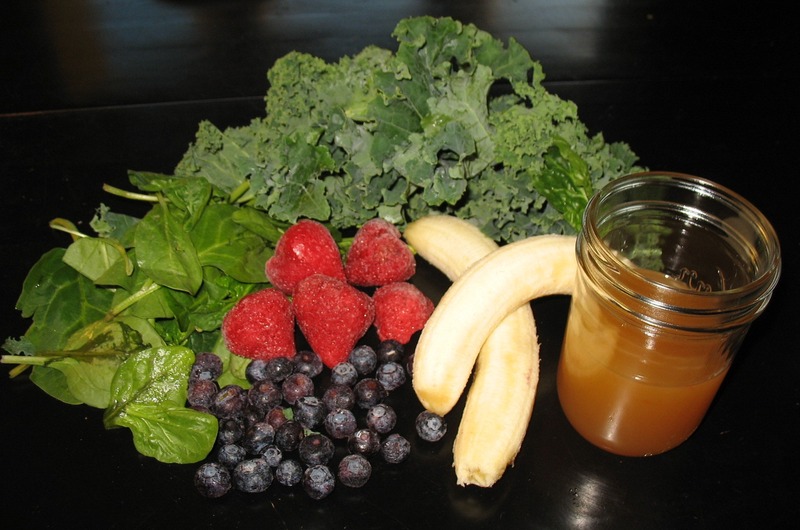 Green smoothies are alkalizing which helps to combat disease and infection. By balancing your body’s pH you are better able to maintain proper cholesterol levels, a healthy circulatory system, and promotes bone health. 9. Green smoothies contain natural anti-inflammatories that help with aches and pains. This is especially helpful after a hard workout. 10. Green smoothies help to stabilize blood sugar. If all of this hasn’t convinced you, try it for a week and see what you think. This entry was posted in 30 Raw, Tools by Jules Lane. Bookmark the permalink.